Meet Tamika and Lindsey. Two students from Vassar College share their experiences of interning with Poughkeepsie Farm Project through the Office of Community-Engaged Leaning. Ed. Note: This article has been adapted from pieces Tamika and Lindsey wrote for Vassar College's Office of Community Engaged Learning Newsletter. It has been edited for clarity. Tamika is in the Meditation Garden. She’s in the brown t-shirt! My name is Tamika and I am a prospective Environmental Studies major. I am an Education Intern with Poughkeepsie Farm Project this semester. I’m interested in local food systems and food justice. Since PFP is a local community farm project committed to making fresh produce accessible to the Poughkeepsie community, I am gaining real experience on how a community-minded food and agriculture organization operates. PFP offers community supported agriculture (CSA) shares of fresh produce to the local community and also provides a variety of programming both at the farm site and in the Poughkeepsie community. My work as an education intern thus far has primarily been with the meditation garden at the PFP site on Vassar Farm and Ecological Preserve. I help out every week during the open volunteer gardening time, primarily with weeding and other maintenance of the plant beds and medicine garden. This work has made me realize how much hands-on love and care goes into growing plants. I have also learned a lot about herbalism and the many uses of plants from PFP’s volunteer herbalist, Beatrix Clarke. Working at the meditation garden has really made me realize the relationship between the community and the garden, too. I definitely notice a difference in the amount of work we can accomplish and visible change in the garden on the days when we have lots of volunteers as opposed to the days when it is just me and the PFP staff. I think this really speaks to the importance of community support for PFP. Lindsey in the plaid shirt teaching kids at a workshop! My name is Lindsay Irwin - I am a Sophomore Drama and intended English Double-Major participating in a Community-Engaged Learning Opportunity through Vassar. 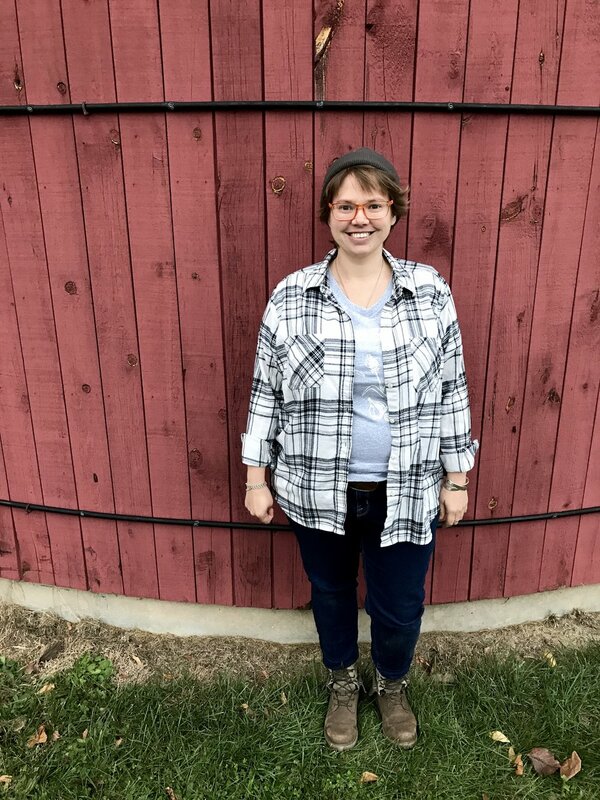 I’m an Education Intern at Poughkeepsie Farm Project, which allows me to fuse my interests in Education, English and Drama. Each week, I bike up the road to the farm and prepare myself to spend 4-5 hours doing something different that feeds my love of nature and inspires me to write poetry and short creative pieces which will eventually culminate into one large or multiple small final pieces. Each time I’ve gone to the farm, I’ve contributed to my journal with notes and images that will eventually lead to my final creative project. So far in my farm adventures, I have tabled for PFP at parent-teacher conferences at a local Poughkeepsie public school, led cooking workshops for local elementary students, planted garlic on Halloween to bond with the farm crew, and my personal favorite, directed a short play about the parts of plants starring students on a field trip to PFP. This community engaged learning opportunity has really pushed me to use my skills in a new way outside of the classroom and blended my passions, letting me pass on my enthusiasm to these local students, and learn from them as well. Going off-campus for a few hours a week definitely puts me in a creative mindset and allows me to get a taste of what it would be like to teach kids theatre in the real world, work on a farm, and write professionally from natural inspiration. This article was published in Pioneers: A Spotlight on Poughkeepsie’s Community Leaders, a magazine researched and written by Sage Kawelo, a Marist student placed at Hudson River Housing through the Tarver Summer Internship Program. At PFP, we are thrilled to republish the piece written about our beloved colleague, Larissa Alvarado. Ed. Note: While Larissa does volunteer heavily in the Poughkeepsie community, she is also a well-loved paid staff member of PFP. The full magazine can be found here. “Each of the people spotlighted in this magazine dedicate their heart and soul to Poughkeepsie. They devote their time to the community without expecting anything in return. Community work would not be possible without the volunteers who put in the time. Larissa Alvarado is one of those many volunteers. She commits her time to Art Centro, the Poughkeepsie Farm Project, Family Services, the Art Effect, Mid-Hudson Heritage Center and local food pantries. As a single mother of 3 children, it seems astonishing that Larissa was willing to give away any of her free time. But many of the places that she volunteered at also provided her with services that she and her children could benefit from. For example, at a point when food was scarce in her household, she volunteered with a local food pantry so that she was able to fill her fridge while helping others fill theirs. Larissa was born and raised in Poughkeepsie and she enjoys giving her time back to helping her community. The Poughkeepsie Farm Project holds cooking workshops to teach people about what they can do with the plants that they grow. One afternoon, Larissa took her nephews and nieces to a workshop and was exposed to all of the wonderful work that they do. They had been given a recipe, ingredients, and means to make their meals. Larissa decided immediately that it was something that she wanted to be a part of. Larissa is a gifted artist. Though she used to paint with watercolors, much of her work today are ceramic pieces. She donates a lot of her time at Art Centro, which is a ceramic art center. At Art Centro, people who volunteer for 4 hours a week are allowed to use the studio when they want. Now, whenever Larissa wants to volunteer with a new organization she allots 4 hours a week to the mission. Larissa has displayed her art in the Pop-Up Shop in the Mid-Hudson Heritage Center. Her pieces were displayed for purchase regularly. The Shop would showcase art shows for individual artists and on the day that her art was headlined, the Shop overflowed with her family and friends. All of them coming out to support the woman who filled their fridges and worked alongside them. The Pop-Up Shop has taken a hiatus as of this summer. But Larissa continues to create her art. Far above her title as a Community Volunteer, Larissa is a devoted Jehovah’s Witness. She is first and foremost a believer. What she loves about creating art is the ability of the artist to show people what they see. When Larissa looks at the world, she sees a gift that God created for us and she translates that love into her work. This isn’t limited to the art pieces that she creates. Larissa pours that love into all of the volunteer work that she does. El trabajo comunitario no sería posible sin los voluntarios que han invertido su tiempo. Larissa Alvarado es una de esas personas dedicadas al trabajo de voluntariado. Ella dedica su tiempo a Art Centro, el Vassar Farm Project, Family Services, the Art Effect, Mid-Hudson Heritage Center y despensas de alimentos. Como madre soltera de 3 hijos, parece sorprendente que Larissa estuviera dispuesta a regalar parte de su tiempo libre. Sin embargo, muchos de los lugares en los que ella se ofreció de voluntaria también le proporcionaron servicios de los cuales ella y sus hijos podrían beneficiarse. Por ejemplo, en un momento en que la comida escaseaba en su hogar, ella se ofreció a trabajar como voluntaria en una despensa local de alimentos para poder llenar su refrigerador mientras ayudaba a otros a llenar los suyos. Larissa nació y se crió en Poughkeepsie y le gusta ofrecer su tiempo para ayudar a su comunidad. El Proyecto de la Granja Poughkeepsie organiza talleres de cocina para enseñarles a las personas lo que pueden hacer con las plantas que cultivan. Una tarde, Larissa llevó a sus sobrinos y sobrinas a un taller, y los expuso a todo el trabajo maravilloso que hacen. Les habían dado a todos una receta, ingredientes y materiales para preparar sus comidas. Larissa decidió de inmediato que esto era algo de lo que ella quería ser parte. Larissa es una artista talentosa. Aunque solía pintar con acuarelas, gran parte de su trabajo hoy en día se centra en la cerámica. Ella dona mucho de su tiempo al Art Centro, un centro de arte de cerámicas. En Art Centro, las personas que trabajan como voluntarios durante 4 horas a la semana pueden usar el estudio cuando lo deseen. Larissa ahora usa esa medida para cada organización con la que se ofrece como voluntaria. Larissa ha expuesto sus obras de arte en el Pop-Up Shop del Mid-Hudson Heritage Center. Sus piezas se exponían para la venta regularmente. La tienda exhibía muestras de arte para artistas individuales y, el día en que sus obras se exhibieron, la tienda se desbordó con su familiares y amigos. Todos vinieron para apoyar a la mujer que llenaba sus refrigeradores y que trabajaba junto a ellos. Desafortunadamente, la tienda cerró recientemente. Pero Larissa continúa creando su arte. Más allá de su título como Voluntaria de la Comunidad, Larissa es una Testigo de Jehová devota. Antes que nada, es una creyente. Lo que le encanta de crear arte es la capacidad del artista para mostrarle a la gente lo que ve. Cuando Larissa mira el mundo, ve un regalo que Dios creó para nosotros y ella traduce ese amor a través de su trabajo. Esto no se limita a las piezas de arte que ella crea. Larissa vierte ese amor en todo el trabajo voluntario que ella desempeña. Green Jobs for a Greener Poughkeepsie! We have some folks we’d like you to meet. They’re the first participants in our new Green Jobs program, which provides young people with an outdoor farm classroom to learn to grow food for their community. In addition to growing and propagating food crops using sustainable practices, they will deepen their understanding of local and regional food systems and learn to educate others about organic gardening, healthy eating, and using urban agriculture for community building. This project will provide intensive training to 34 youth over the course of two years. At PFP, we believe that every person has a right to real food. This right extends beyond the consumer's purchasing power: every person has the right to access the space, knowledge, and resources for growing the food they eat and to access fresh and nutritious food grown by others. As part of our commitment to supporting young people in our community in this endeavor, we’ve launched this important new Green Jobs program. Meet Demier, Isiah, Lucas, and Kitana, the first four participants of the Green Jobs program. They joined us in March, and have been a total delight to have working with our team! These young adults have such a great attitude. They are always smiling, and always ready to learn something new. It has been an honor and a whole lot of fun to learn and grow alongside them so far! Demier and Lucas, kings of the tomato tunnel. Sonya (neé Katie) Key loves everything about wholesome food! She enjoys creating opportunities for collective return to health through personal connection to nature. With over 15 years of experience in hands-on and out-of-school time education, she weaves trust-building games and songs into participatory growing and cooking workshops for all ages. Uplifting ancestral African, African American and indigenous foodways is primary to her approach. Sonya was professionally trained in health-supportive raw vegan cuisine at RawSoul of Harlem. She designed a non-traditional culinary education with multiethnic cuisine courses and a French culinary study abroad. She created and ran Sweet Mama’s vegan desserts in a women of color run co-op kitchen before branching out to provide creative personal cooking and private event catering throughout NYC, Westchester and the Hudson Valley. As a child, you could find Sonya out in nature, the kitchen, library or onstage. Today, all these passions come to life while teaching in Poughkeepsie Farm Projects’ after-school garden clubs, farm-to-school program, community cooking workshops, and Jr. Chefs’ Cooking Club! We are thrilled to welcome seven new members of the Poughkeepsie Farm Project team!! 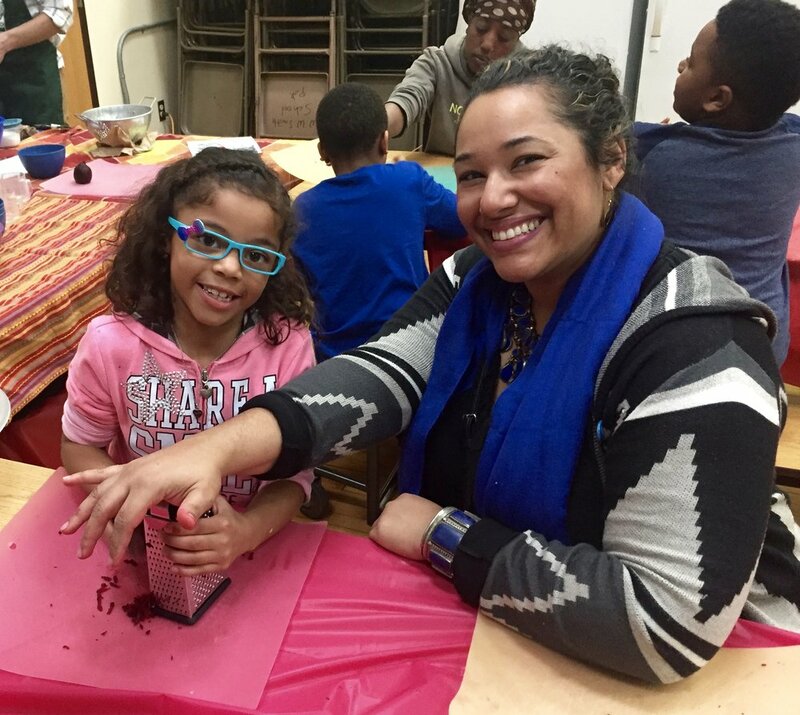 Zoe is our new farm crew member and our education department has hired six new team members to run brand new after-school garden clubs in City of Poughkeepsie Schools. Aozora (Zoe) Brockman, farm crew member, was raised on an organic vegetable farm in Central Illinois, and spent most of her life planting, weeding, and harvesting alongside her brothers, parents and grandparents. Immediately after graduating from Northwestern University with a degree in Creative Writing, she returned home to look after the farm while her parents spent a “sabbatical” year in Japan. Once her parents returned home, she worked as a full-time farm hand for a season before moving to New York to live with her partner, Austin. Zoe worked as a part-time crew member at Glynwood before joining the PFP team. She is thrilled to have the opportunity to learn from PFP’s model of community-engaged farming, and dreams of someday merging her two loves—farming and writing—and operating a community-focused farm of her own. Maria Cali, garden assistant, is a senior at Vassar College, where she studies Sociology. 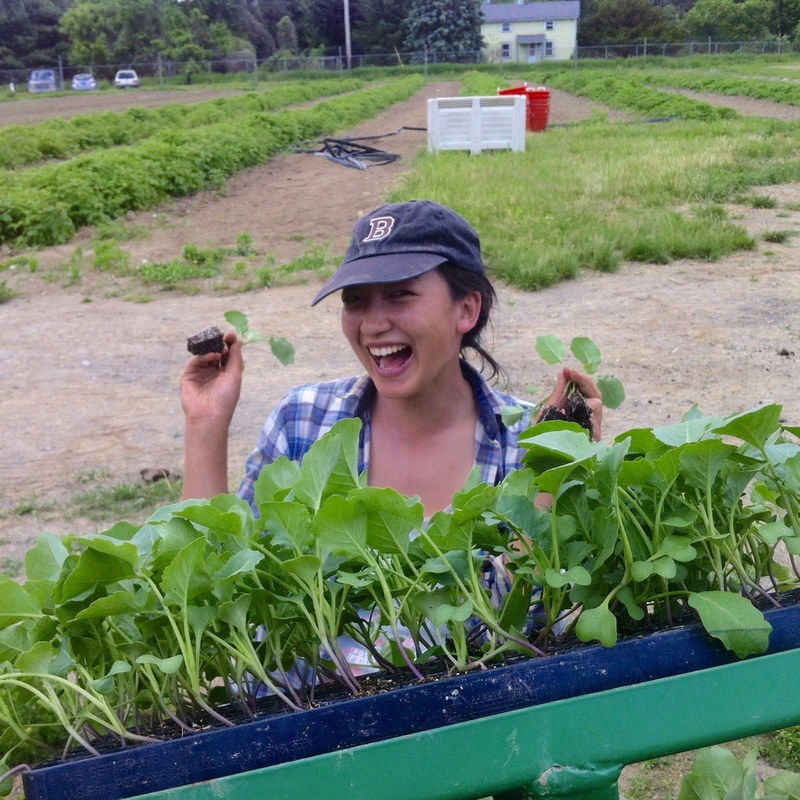 She has been working at PFP since Spring ’16 with the education team, with one semester off when she went to study abroad in India, Tanzania, and Italy to learn more about food sovereignty and food systems. Maria hopes to be a lead teacher in a classroom, as she thinks education is one of the best ways in which to enact social change. She is passionate about the presence of youth in social justice work, and celebrates the many ways in which food is a part of that. Sevine Clarey, garden assistant, loves food: cooking with it, studying it, teaching with it, and eating it. If she is not in her kitchen trying finding different variations of cooking sweet potatoes, she is drinking tea, hiking, climbing, or at PFP. Sevine is currently a sophomore at Vassar College and started working at the PFP fall of 2016. She has loved every experience she has had with them. The team is amazing and she cannot wait to see what new adventures lie ahead! Christine (Chris) Gavin, garden educator, is a lifelong resident of Poughkeepsie with a BA from Vassar College, and she has been working as a farmer and educator in the region for over a decade. Her passion for agriculture grew from her academic interest in social justice and the desire to create tangible positive change in her local community. Her educational philosophy is rooted in the belief that we are all stewards of the natural world and that it is essential that we pass that sense of responsibility to the next generation to help build ethical global citizens. Chris was a farmer and an educator at Sprout Creek Farm for many years and most recently she taught in Beacon public schools as a Garden Educator with Hudson Valley Seed. When she's not teaching, Chris dabbles in urban farming in the City of Poughkeepsie with a yard full of veggies and a small flock of chickens. Isiah Hawley, garden assistant, was born and raised in Brooklyn, New York. As a teen, Isiah moved to he moved to Poughkeepsie to live with his older sister. When he was 17, he started working on his GED through Nubian Directions. In his time there, he learned how to do construction work and built many different structures. During his time at Nubian Directions, Isiah earned many construction-related certifications. When he was a child, Isiah and his sister use to eat broccoli all the time together; it is still his favorite vegetable. Isiah’s passion is music and he has an ear for any genre of music. Isiah also makes his own music with his brothers; he says it is "good bonding time." Isiah loves to make people laugh always has a smile on his face. Larissa Pitcher-Alvarado, garden assistant, fell in love with PFP after attending the Farm Fresh Home Chefs program they held at Clinton School with her niece and nephews. This program is amazing because it brings families and the community together delivering education about food, healthy eating, gardening, and cooking. She has always had an interest in healthy eating and community. She is thankful for the opportunity to be a part of this wonderful establishment and is looking forward to learning and sharing really cool stuff! Briggin Scharf, garden educator, is thrilled to join the PFP education team and grow sacred gardens with Poughkeepsie youth! 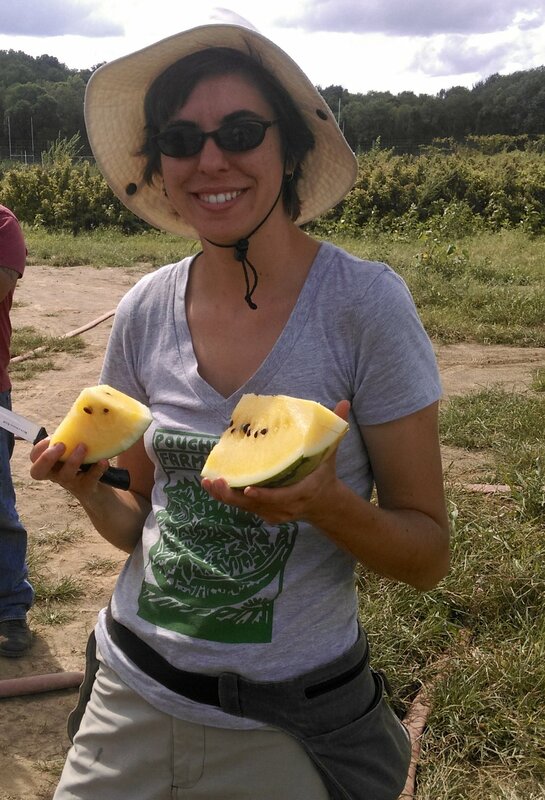 After spending several seasons farming in the Hudson River Valley -- at Phillies Bridge Farm Project in New Paltz and Hawthorne Valley Farm in Ghent -- Briggin is excited to return to the outdoor classroom to share her passions for food sovereignty, celebrating nature and chowing-down on home-cooked delicacies with her new students and co-instructors. Briggin previously managed urban elementary school gardens in San Francisco and New York City, as well as held a range of jobs from brewing kombucha to milking dairy cows to installing art exhibits in museums. She loves to hike, sing, discover new herbal remedies, draw, and travel! Here at Poughkeepsie Farm Project, it’s no secret that our team of coworkers truly feels like a family. Our shared dedication to this work has helped forge strong, meaningful connections with each other. In an organization with a core team of only five full-time employees spread within three fast paced departments, this principle is both essential in operating effectively with continued vigor, and astonishing to genuinely maintain. Just how do we do it?! Truth be told, running the show behind the scenes of Poughkeepsie Farm is our Office Manager Kate Dayton! Kate is our number one advocate, celebrating our good work with gusto, as well as our voice of reason, helping us affirm boundaries. She is authentic, unwavering, eager to share her gifts, and never afraid to say no. Since she has joined our team, we have witnessed an extraordinary flowering of human potential on the farm. Let’s be honest, we all admire her, are inspired by her, and want to grow up to be her! I had the sincere pleasure of sitting down with Kate to explore her role, her responsibilities, and learn more about her journey to our farm family. As I prepared to commence the interview in a quiet room at Oakwood Friends School (home of our winter office), Kate didn’t waste a minute; she sat down at a piano, and began to play. The fact that she just began piano lessons a year ago is a true testament to her determination, confidence, and enthusiasm for life and learning. What brought you to PFP? In 2004 I left work in Manhattan after 15 years as an executive assistant for a full service real estate firm. I really truly loved this work, but the commute from my new home in Cold Spring was too far. After having some trouble finding a job up here, I decided it was my time to change the world! I started a business called “Green Courage” that sold healthy and sustainable interior building materials. A little shop in water street market in New Paltz! After this rewarding and challenging endeavor it was very clear to me that I needed to be connected to doing good in the world. When I read the Office Manager position for PFP I could not believe that for the first time in one job description there were so many diverse tasks – so many skills that I could contribute to help move this good work forward, while being a part of such a unique team. One of the goals in my job search was to be a part of a team and a community, and I really could not have landed in a better place in this regard. Be it our community of staff, our CSA community, or the Poughkeepsie community at large, I always feel such compassion and support each day and that is just so awesome. It is such an honor to work here, I feel so darn lucky! What does your job entail behind the scenes? An important part of the work that I do is in making sure that the money that comes in to the organization is recorded and processed in the best possible way, that we are meeting good financial bookkeeping practices, and we are constantly improving. The other area is in the management of that income in the CSA, and coordinating and organizing the list of members. If someone has committed to participate in our CSA community, it is very important that we welcome them when they come to pick up their share, and having their name correct – is an important part of expressing that acknowledgement and appreciation. What do you love about your presence at PFP? What excites me and brings great satisfaction is looking at ways to improve systems and processes. I like to explore what is not working and create ways to improve on it...for instance when I arrived we processed CSA Registrations, Education Program fees, expense recording etc. differently from how we process them now. The way I came about the current method was from taking a look at tasks, efficiencies of time, accuracy and results and rearranged how the work flow took place. It is never perfect, but it is now manageable within the lean resources we operate within. In addition, I cannot put into words how grateful I am to eat the fresh delicious food that comes from our farm. It makes me think back to my childhood in Vt. when our milk came from our landlord's dairy farm in gallon jars with cream on the top and fresh corn was just picked in a neighbor’s field. I have great respect and admiration for our farm director and crew as we all know that growing food and negotiating the environment is a big undertaking. Prior to coming to PFP, I did not remember how amazing a fresh cucumber tasted. My husband and I sit at our dinner table feasting on this tasty bounty in food ecstasy! What do we love most about Kate’s presence at PFP? Kate is a task master with keen emotional intelligence. She anticipates needs of the team, listens attentively, and is attune to the profound impact of empathetic leadership. We have witnessed firsthand the trust, group identity, and group efficacy cultivated through her ideals and integrity. Kate may say she was drawn to this position by the strength of our community, but it sure is hard to picture this community without Kate. Kate grew up at the base of Stratton Mountain in Bondville Vermont! She is a first generation college graduate! Kate spent 8 years working as an Actress in New York City! She loves watching the Voice! She just got cast in Anne of Green Gables! Provide us with a brief description of your position at PFP. I run PFP’s Education Department, and I work with Ellie Limpert, our Education Manager, to set the tone and agenda for our programs which are mainly focused on promoting healthy eating, gardening, and sustainable agriculture. My role involves building relationships with all of our community partners, school personnel, PTAs, and other nonprofits. I coordinate our schedule and plan much of our professional development workshops. What types of activities do you schedule? On site field trips for school classes and other groups, school garden visits where PFP educators teach kids in their own gardens, cooking in the classroom workshops, family cooking workshops, and educational sessions at after school programs. We also provide professional development for teachers and community educators at our three-day Summer Institute Using Gardens to Teach training for educators. We’ve expanded our offerings and now provide several other trainings throughout the year on-site and at regional conferences. In addition, we offer workshops on gardening, herbs, cooking, seed saving, and self-sufficiency for community members at the farm and at other sites in the community. I grew up in Central Islip, Long Island. We had a garden in our back yard, with a nice strawberry patch, tomatoes, lettuce, peppers, and green beans and we had 16 chickens. We also had ducks and rabbits, which were more like pets, and a Mulberry tree that we would climb to harvest big colanders full of bright purple berries that my mom would make into Italian ices. I guess I fell in love with fresh hyper-local food as a child because it was so tasty. My background is as a teacher. I went to SUNY New Paltz and got an MS in Literacy Education. While in college, I started gardening at the Gardens for Nutrition and fell in love w/ community gardening because of the interaction and sharing with my garden neighbors. Right after college, I worked for the Mid-Hudson Migrant Education Program working with children of migrant farm workers. Then I started working for Poughkeepsie City School District as a home-bound instructor teaching kids who were suspended or on medical leave. Those positons connected me to the Poughkeepsie community. When I saw a position that connected my educational background and my interests, I was thrilled at the possibility of teaching children through gardening and cooking. I can’t choose one thing. I love the variety that I get to do, one day I’m teaching a group of kids, the next day I’m writing a grant, other days I’m training interns, leading a workshop for educators, developing curriculum. I really love the fact that we have a wide community impact because we’re working with youth, families, educators, and other community organizations. PFP’s community-based approach is exciting and powerful to me. Recently, I have been doing a lot of presentations around the region. I actually really enjoy speaking in front of groups. Many people fear public speaking more than death, but I fear death more than public speaking! What do you love most about PFP? I love our really strong team and the way we work in many different facets under the umbrella of food justice, providing nutritious local food to families through our CSA, and others with limited access. I love working with our many community partners and other local and regional organizations to make food systems more equitable. There are so many program and outreach activities that the Education Department presently offers, what has changed from when you started as a part-timer in 2010? I was first hired as a part-time seasonal employee for 15 hours/week. Now, I work year-round and full time. When I started, we were primarily responding to requests – five field trips for the school year, and working with a few local summer camps, Green Teen, and Hudson River Housing’s River Haven youth shelter. I was asked to build a partnership with Poughkeepsie schools, instead of just responding to requests, so that kids in Poughkeepsie could visit on a regular basis. That meant building relationships with principals, teachers, school secretaries, other staff, and administrators. We weren’t doing as much in the schools then, and there were very few school gardens. Now we’re in the schools beginning in February and continuing through December. When I started, we hosted two interns from Vassar during semester. In 2016, we hosted 24 interns from Vassar, the CIA, Russell Sage, SUNY New Paltz, Poughkeepsie Day School, and Poughkeepsie High School. We’ve also expanded the Seeds of Food System teen program, which used to just be a summer program, but now we’ve expanded it to a weekly six-month program. Visiting PFP is now part of growing up in Poughkeepsie! I know you're very involved with social justice activism outside of PFP, what are some of those projects? Primarily, I’m working with several organizations on racial justice issues on the local and state level. What’s very exciting is that many of our local and regional farming organizations are committing to work towards racial justice in the food system. Why do you consider racial justice so important? Because we are all better off when there’s justice for everyone. Our entire society loses out on the human potential of our neighbors, when institutional racism limits opportunities for people of color. For many white people in our country, institutional racism can be virtually invisible, you can be oblivious if you don’t pay really close attention. What do you do for leisure when you're not at PFP or saving the world? I enjoy reading, baking, preserving food, gardening, hiking, going to movies, and traveling. Anything we might not necessarily expect to know about you? I recently started indoor rock climbing. I’m just a beginner and definitely not ready for outdoor climbing, yet. Patrick Lang is returning to the PFP for a second full season, farming, managing the wholesale program, and coordinating shareholder work hours. Patrick first came to the PFP in 2013 between semesters teaching at City Colleges of Chicago. As a farm intern with minimal growing experience, he brought infectious energy and an aptitude for learning, and quickly demonstrated his commitment to the PFP (sometimes too much commitment, for instance weeding carrots on hands and knees for two days while nursing a foot injury).